UMCIL dedicates itself to the promotion, development, use and value addition to Zambian domestic raw materials. 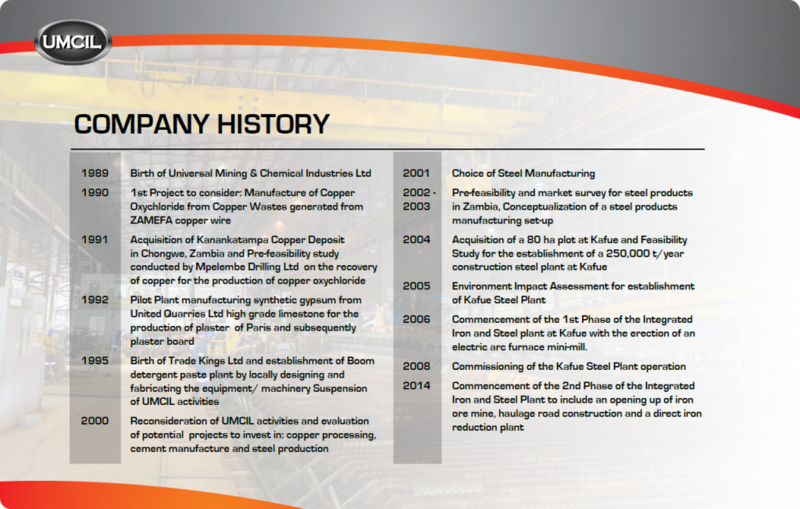 Our current and immediate project portfolio is focused on the establishment of an integrated Iron and Steel Plant at Kafue. UMCIL has followed the last approach the Zambian Government adopted to set up the steel works in a phased construction scenario and in a backwards integration starting with re-rolling mill using initially scrap as raw material. The Integrated Iron and Steel Plant will produce more than 200,000 tonnes of steel rolled products per annum of different profiles, sizes and length for first domestic consumption and then for export using 100% domestic raw materials and energy resources. 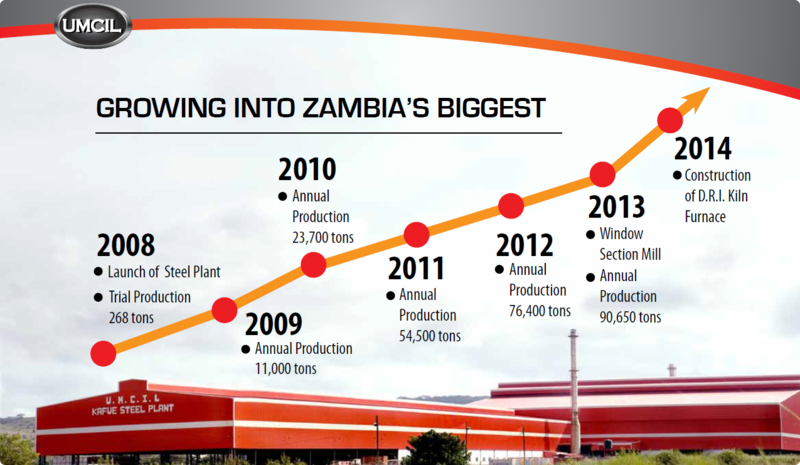 Currently the Zambian economy consumes slightly over 50,000 metric tonnes of imported iron and steel products per year. This project signifies a step towards promoting, developing and adding value to abundant and yet unexploited domestic raw materials which Zambia possesses – a key element in the country's strategy towards sustainable wealth creation and socio-economic development.